The infrastructure vulnerability to the climate change is increasing around the world and its implications are evident in many sectors. Settlement patterns, urbanization, and changes in socioeconomic conditions have all influenced observed trends in exposure and vulnerability to climate extremes. Small island states are particularly vulnerable to climate extremes, especially where urban centers and/or island infrastructure predominate in coastal locations. Asia’s mega-deltas are also exposed to extreme events such as storm surge flood and have vulnerable populations in expanding urban areas. 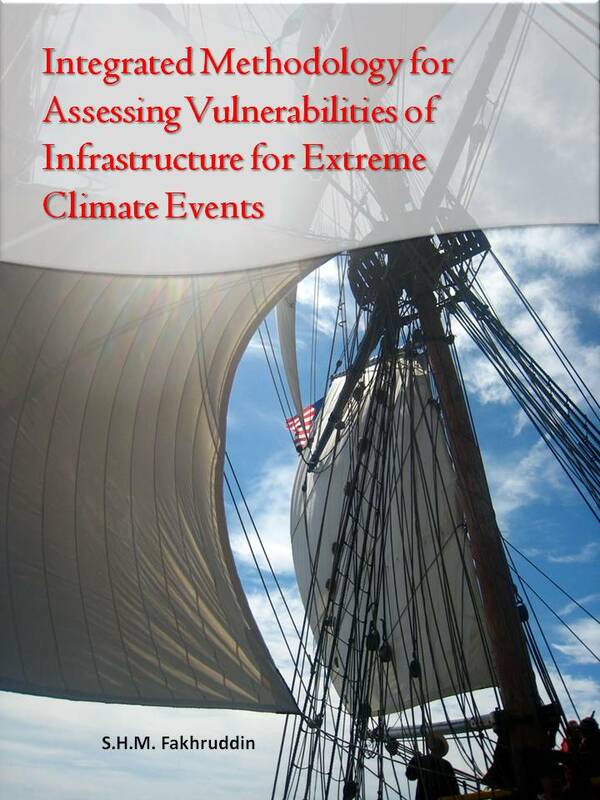 This research is focused on developing an integrated methodology to identify infrastructure vulnerability exposed to tropical cyclone along the sea coastal. Infrastructure is commonly defined as the various components of the built environment that support modern society (e.g., Choguill 1996). These encompass utilities, transportation systems, communication networks, water systems, and other elements that include some of the most critical underpinnings of civilization. Thus even modest disruptions to infrastructure can have significant effects on daily life, and any systematic change in the frequency or intensity of those disruptions could have profound consequences for economic and human well-being.